As the April 15 tax deadline approaches, this workshop will provide general information for people who have never filed a tax return before and work study students who are wondering if they need to file. 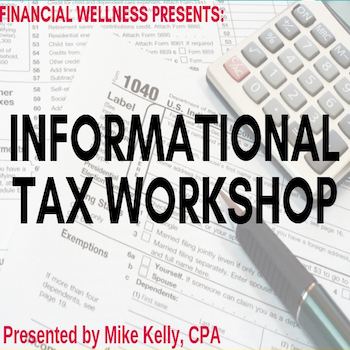 Mike Kelly, CPA, will provide a 30-minute presentation with 30 minutes for questions. Persons with disabilities who anticipate needing special accommodations or who have questions about physical access may email lgonzalezhernandez@csustan.edu or call (209) 664-6587 in advance of the event.